Sverker Holmgren is a Professor in Scientific Computing at Uppsala University, Sweden, where he is also the head of the Computational Science research program and the Dean of Mathematics and Computer Science. He presented his PhD thesis in Numerical Analysis in 1993, also at Uppsala University. Holmgren is the current chair of the European e-Infrastructure Reflection Group (e-IRG) and has been a Swedish e-IRG delegate since 2008. He also has a part-time position at NordForsk as the Director of the Nordic eScience Globalisation Initiative (NeGI). NordForsk is an organisation under the Nordic Council of Ministers that provides funding for Nordic research cooperation as well as advice and input on Nordic research policy. Holmgren took part in writing the first Nordic eScience Action Plan, commissioned by the Nordic Council of Ministers, in 2008 and he is currently leading the work on updating this Action Plan. Holmgren is a board member of the Swedish National Data Service (SND) and the Swedish Academic Identity Federation (SWAMID). 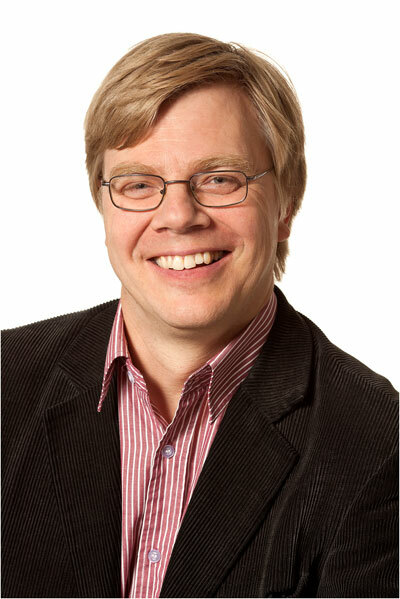 Earlier assignments include being Director for the Uppsala University computing center UPPMAX from the start in 2003 to 2006, and then being the Director for the Swedish National Infrastructure for Computing (SNIC) during 2006-2012. SNIC is the Swedish national computing infrastructure initiative with a mandate to provide and coordinate the development of HPC-, grid- and large-scale storage resources for academia in Sweden. SNIC and provides the national interface to major international e-Infrastructure initiatives, and as SNIC Director, Holmgren was the Swedish delegate in e.g. PRACE, EGI and EUDAT. Holmgren was also earlier a coordinator for the Swedish e-Science strategic research area consortium eSSENCE, led by Uppsala University and funded by the Ministry of Education and Research.